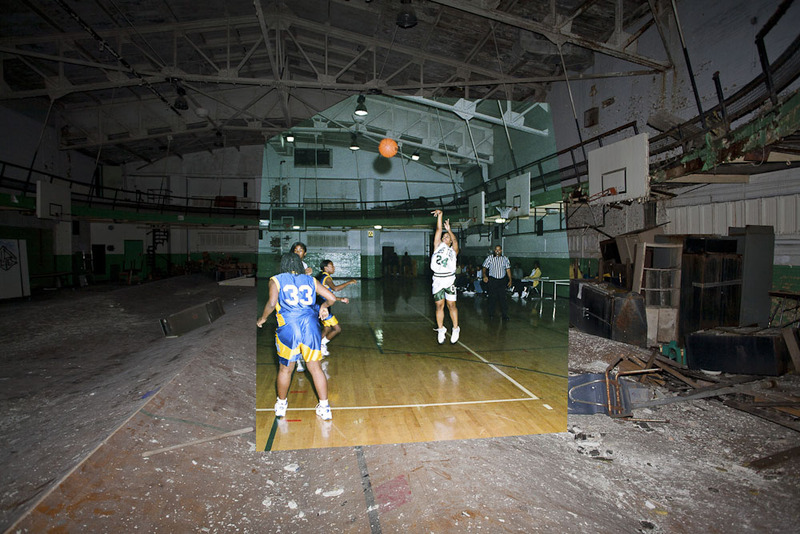 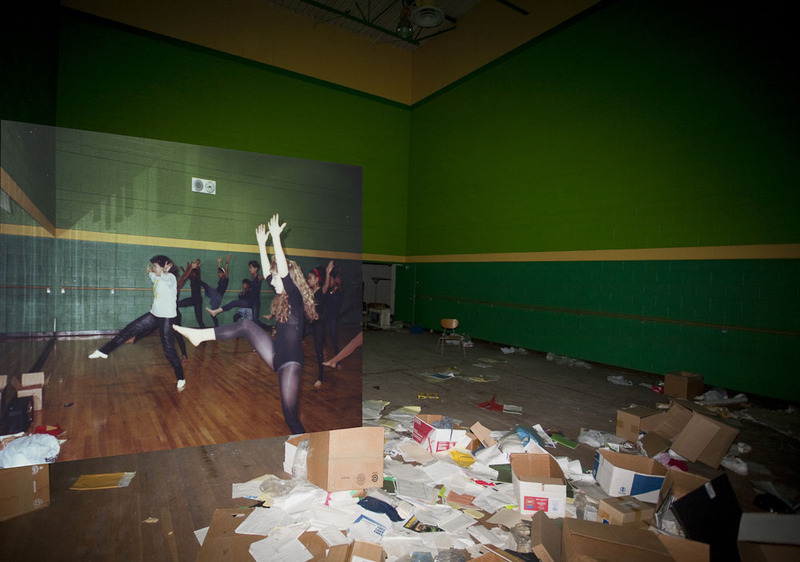 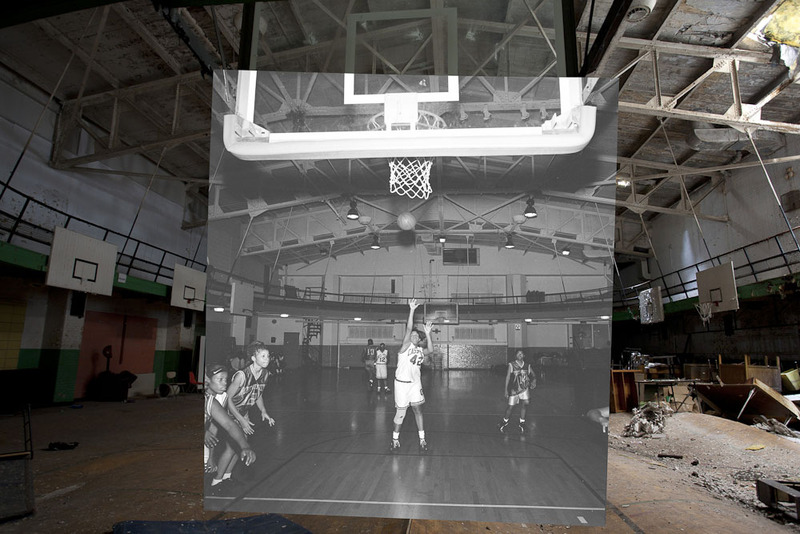 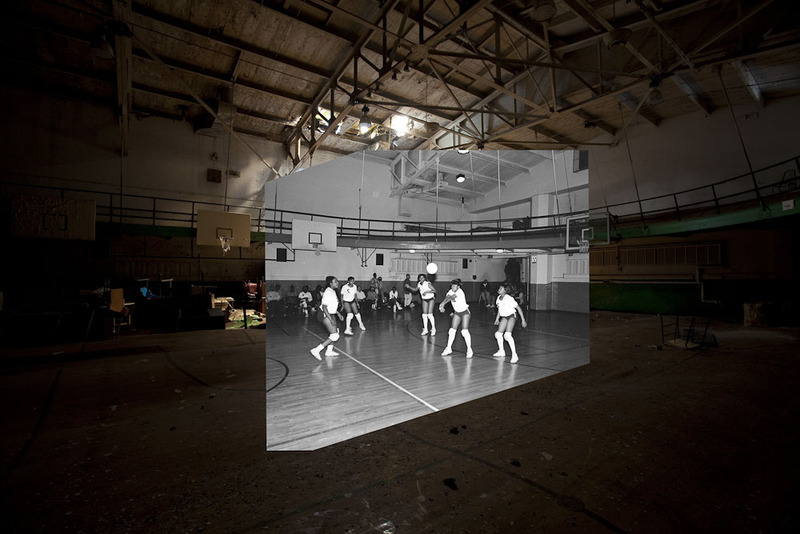 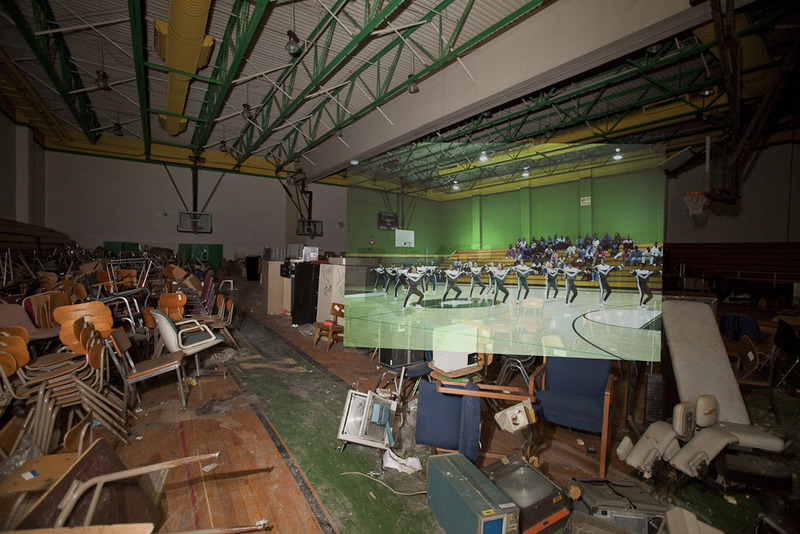 A 1988 basketball game superimposed over the present-day condition of the old gymnasium. 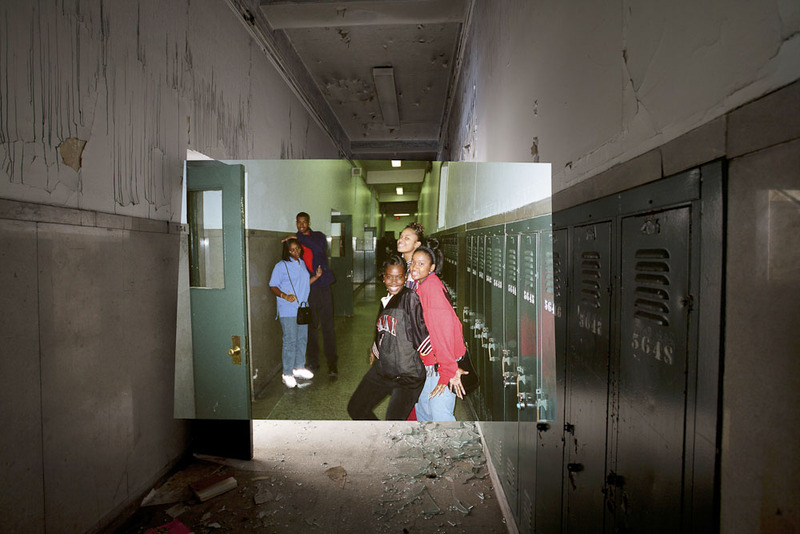 To “raise awareness of the social and economic challenges the city of Detroit,” website Detroiturbex explores and photographs abandoned buildings and places in and around the city. 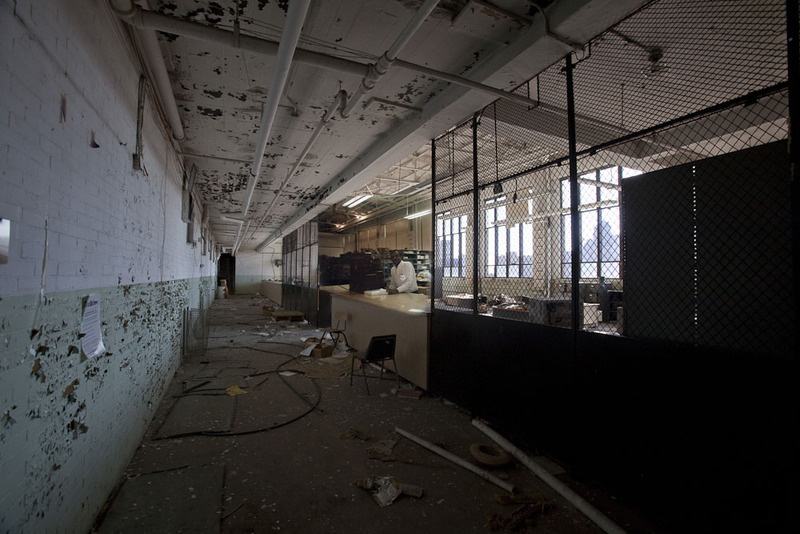 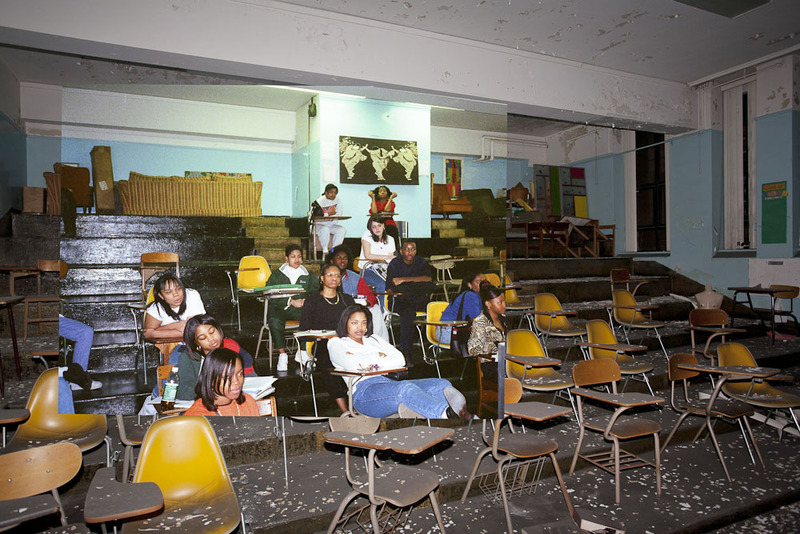 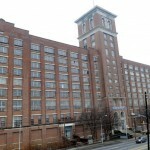 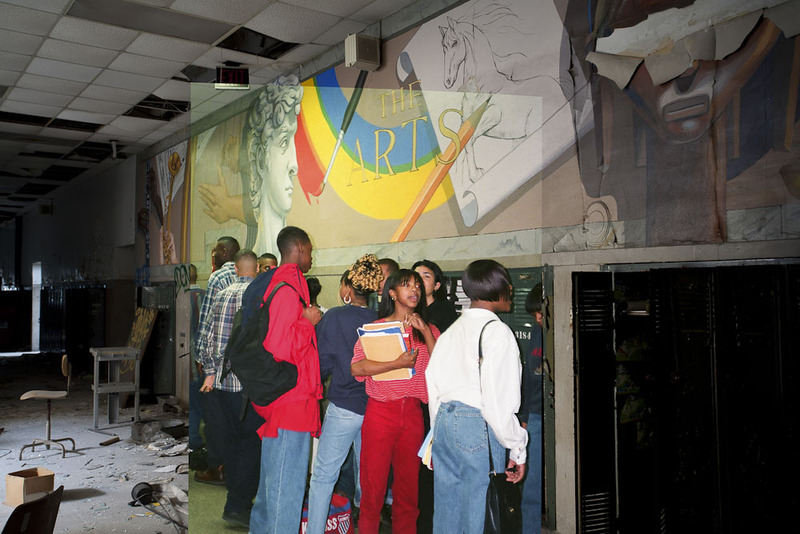 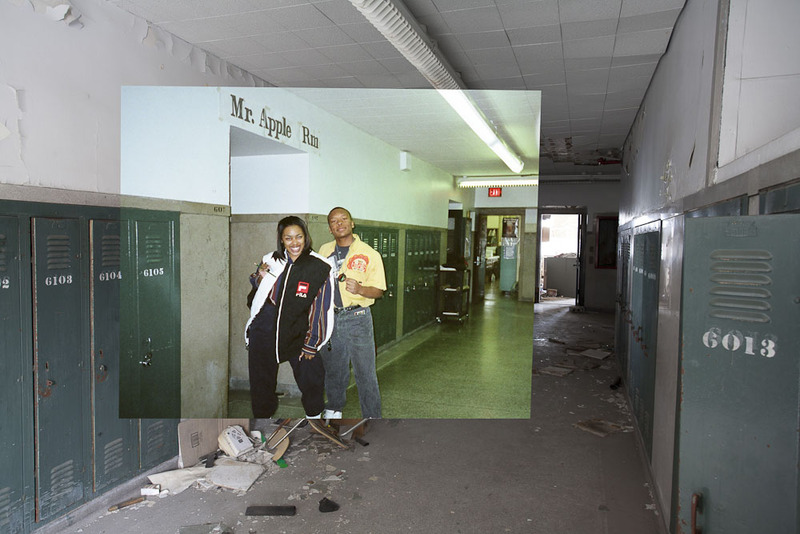 One of its recent projects focuses on Lewis Cass Technical High School, which had its building devastated by a major fire in 2007 (the building was subsequently demolished). 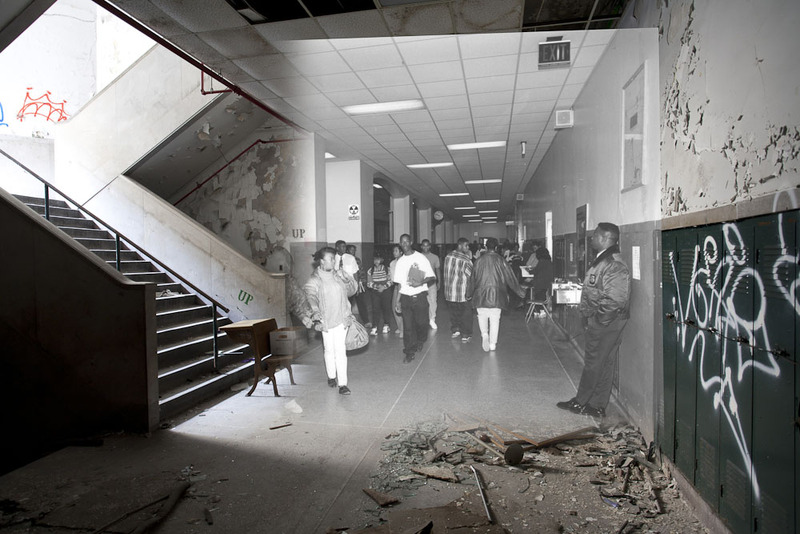 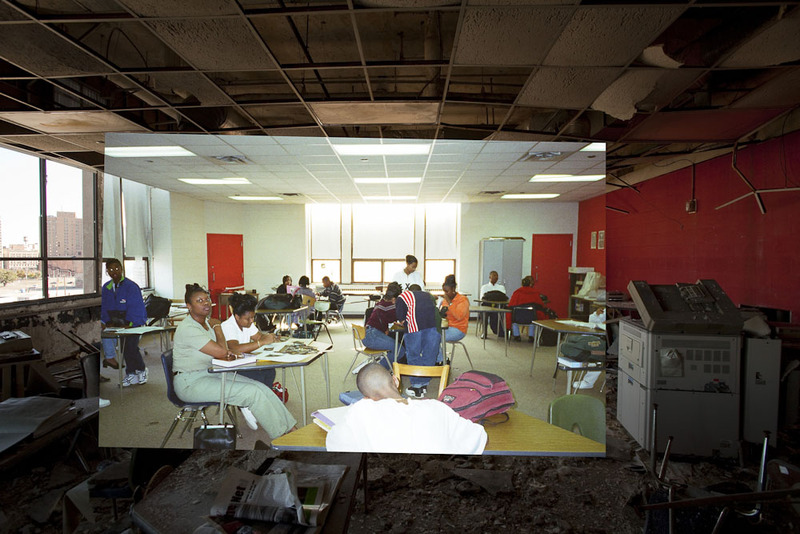 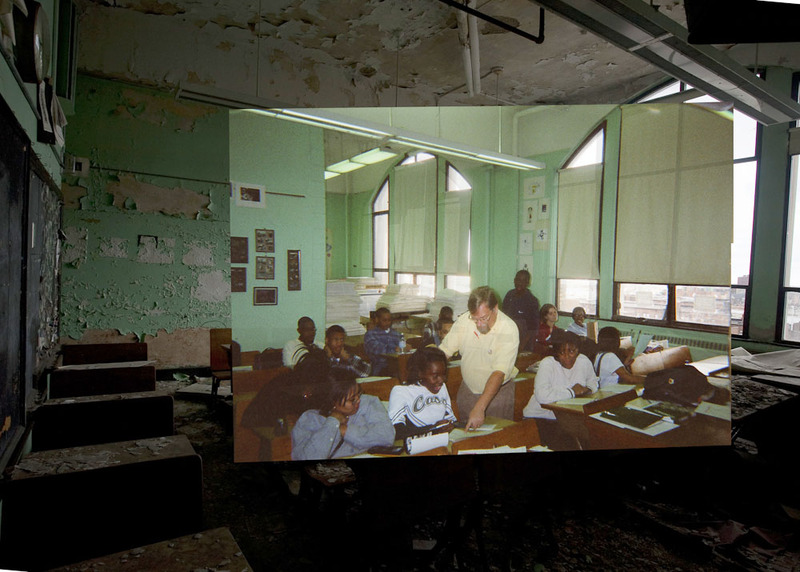 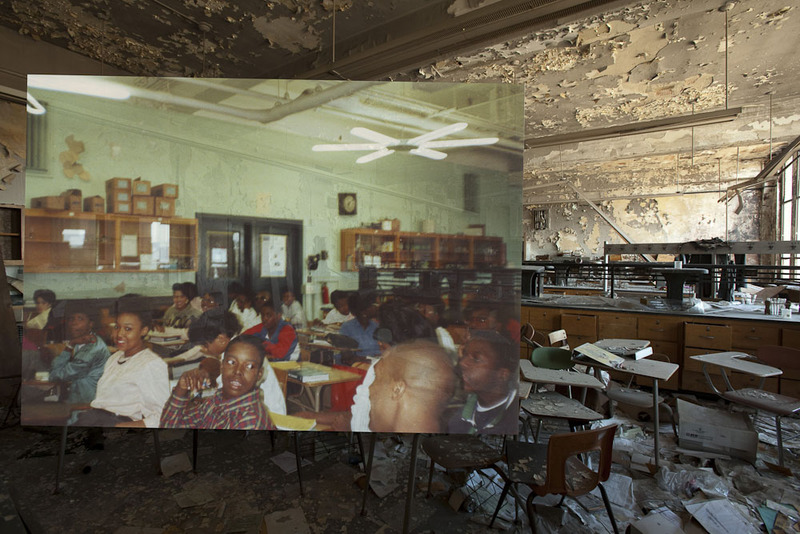 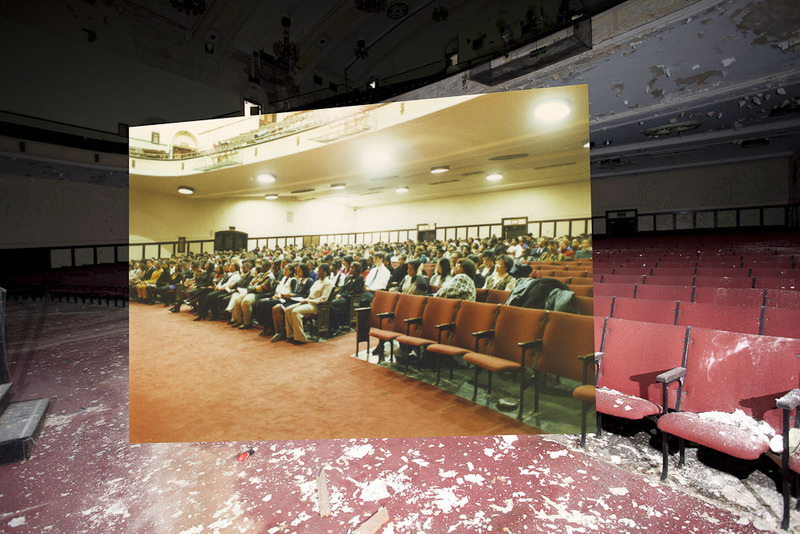 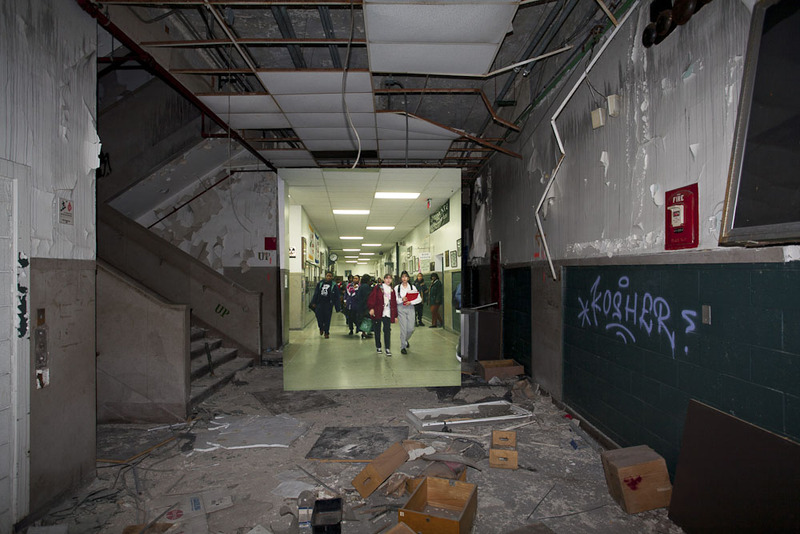 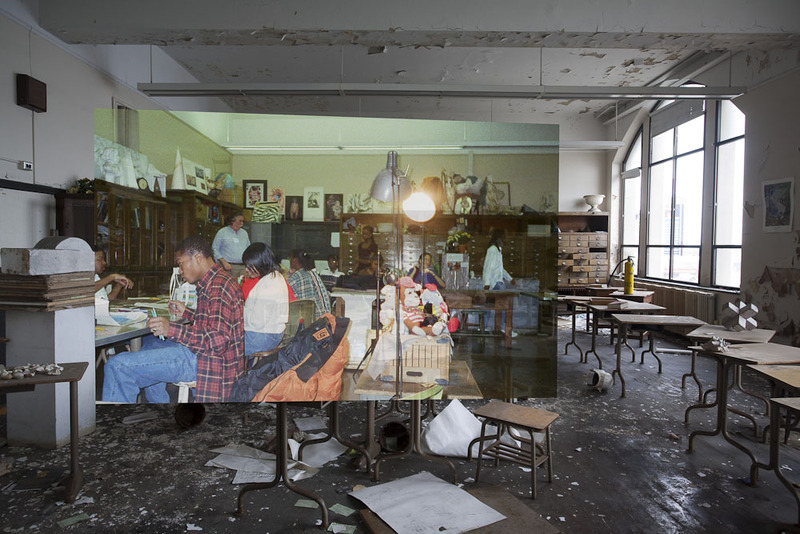 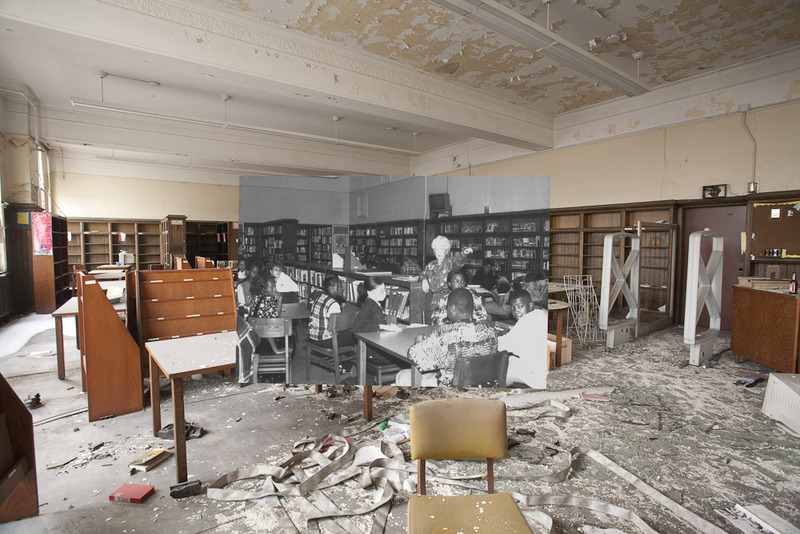 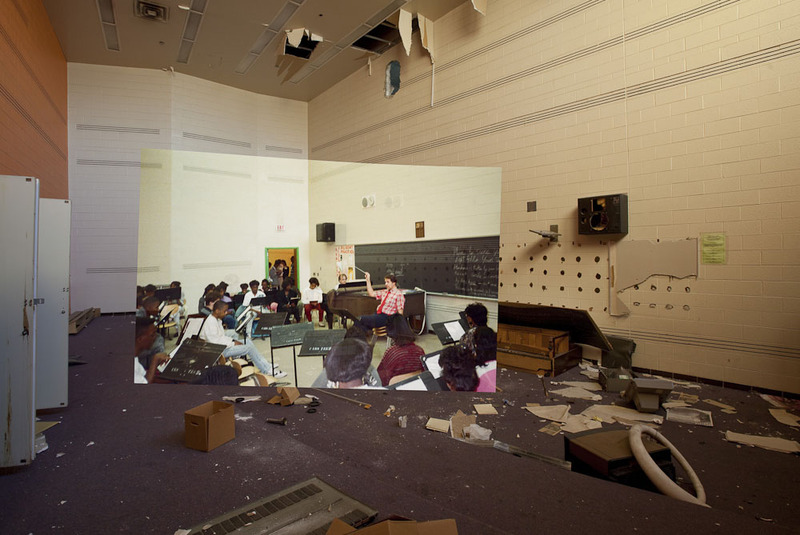 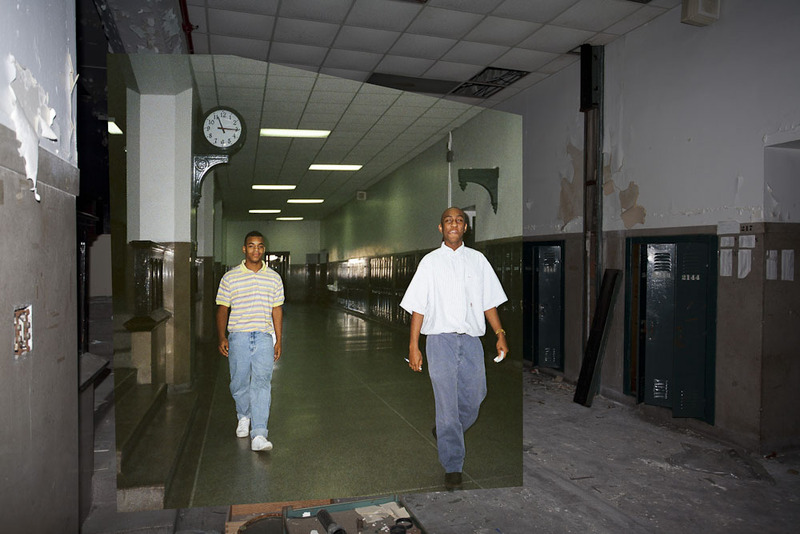 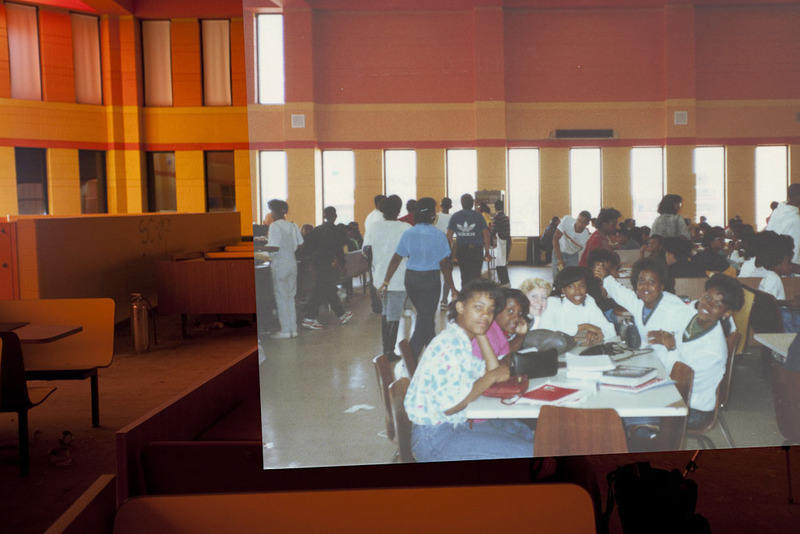 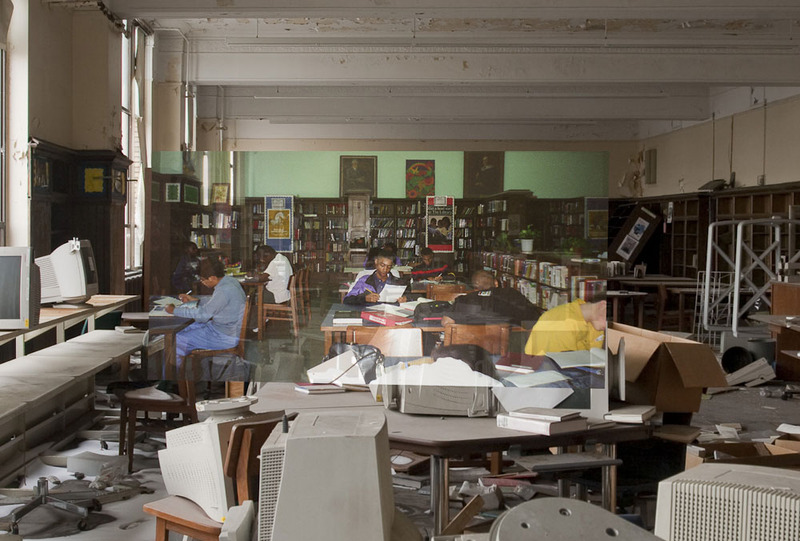 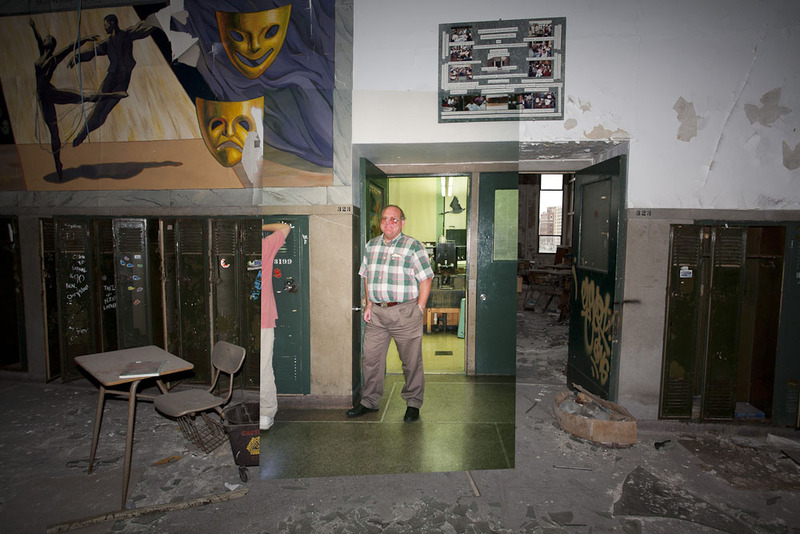 By combining old photographs of the school with new views of the abandoned building, it offers us a look into two different times: one that shows a vibrant campus and one that shows empty ruins.